Lance Armstrong will complete the last leg of his final Tour de France tomorrow, ending one of the most spectacular athletic careers in modern memory. Before this year’s race began, many were loath to count the 38-year-old out of first-place contention. And who could blame them? This was the man who beat cancer and worked his way back to the top of one of the world’s most grueling sports. He won seven Tours and toppled record after record as if they were mere hills, not peaks. He wasn’t just a champion; he was America’s champion. And because of his battle with cancer, and his efforts to fight the illness, he became a symbol of hope for millions of people fighting diseases worldwide. But today, Armstrong’s reputation is under threat. Floyd Landis, one of Armstrong’s former teammates and a Tour winner himself, recently admitted to using performance-enhancing drugs. Furthermore, he says it was Armstrong who taught him how to use them. While Armstrong has deflected allegations of doping throughout his career, these are the most credible by far. It’s hard not to sense a shadow creeping over his legacy. Tomorrow, after several spills, Armstrong will finish his final Tour far from the lead. In past years, Armstrong has emerged with head and arms held high in triumph. This year, he will finish strained and tired. The melancholy of the moment is not lost on the fallen champion. 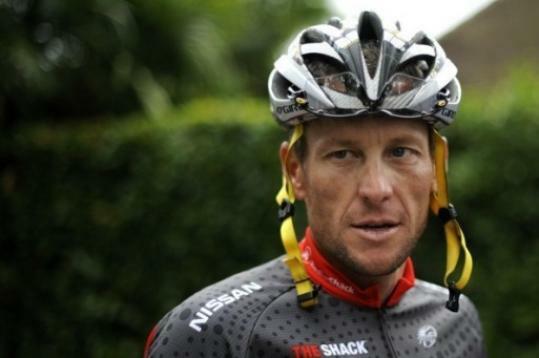 “Lance Armstrong is over,’’ he admitted to reporters this week. As the doping allegations linger, Armstrong’s fans are waiting to find out what, exactly, that comment means.